But what happens when someone starts spilling state secrets? For politician Bethany Leherer and programmer Danielle Farr, that's not just an interesting thought-experiment. An online celebrity called sic_girl has started telling the world too much about Bethany and Dani, from their jobs and lives to their most intimate secrets. There's just one problem: sic_girl doesn't exist. She's an construct, a program used to test code. Now Dani and Bethany must race against the clock to find out who's controlling sic_girl and why... before she destroys the privacy of everyone in the UK. 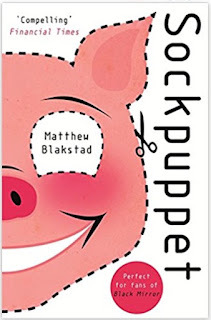 Sockpuppet is an impressive thought-provoking debut. This modern day whodunnit is based around a fictional social media platform called Parley (which I assumed is similar to Twitter). State secrets, and personal secrets, are being deliberately revealed by an online bot called sic_girl. It's clear that someone is on a mission to create havoc, but who and why? 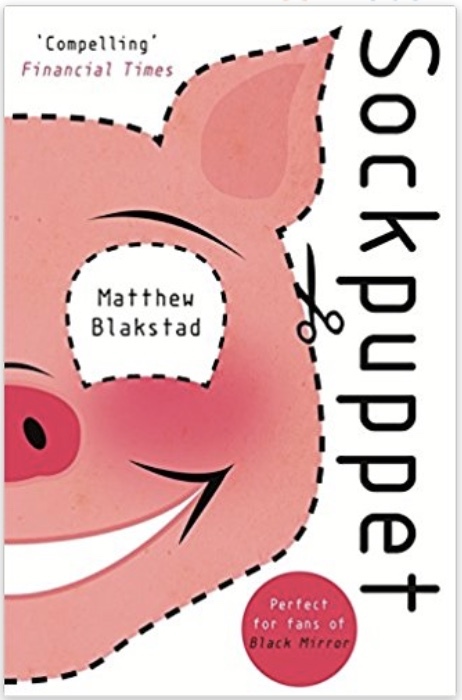 Matt Blakstad has created a page-turning dark conspiracy thriller, based on acute observations of a digital society governed by online activity, political ambition and instant communication. There's plenty of computer jargon (and I have to admit it took me a while to get my head round some of it), making this a perfect thriller for computer geeks! 1. Whatever you do online, remember that somewhere, or rather everywhere, someone is watching your every move. 2. Always check, double-check and triple-check the terms and conditions before you proceed with ANYTHING! The recent & possibly ongoing NHS malware attack proves how relevant Sockpuppet is to modern society - this thriller is a warning to us all. My kids are older (teenagers). But I will admit, I don't think I've ever stopped reading. It's my main form of relaxation, when I get a chance. Some days/weeks/months, it can be a challenge to fit it in though.